Killer Characters: What did you get for Christmas? What does one get a busy toyshop manager for Christmas? Something she can enjoy in her time off? Games, of course! One of my favorites--when I can find people to play it--is Power Grid. Like many German strategy games, the rules take a little time to learn. It really helps to watch videos on You Tube before trying to tackle the extensive rule book. 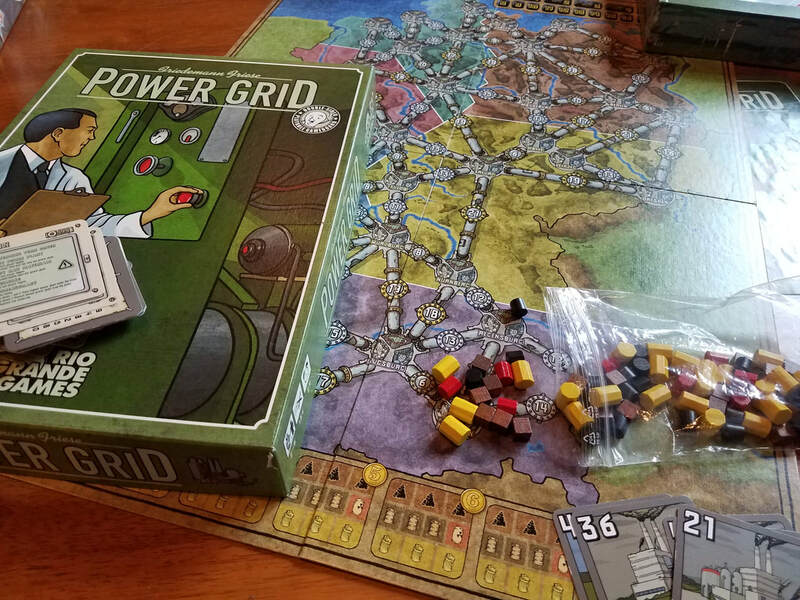 But once you learn them, this is an interesting competitive game where you are trying to build, expand, and fuel a power grid--and block other players from expanding theirs! And yeah, it's much more interesting than it sounds! My sister-in-law Cathy is an aspiring writer, so barely a season goes by when we don't pull out Liebrary. It's a fun game where you roll a die to choose the genre, then pull out a card with a book title, author, and synopsis, and players need to write a first line for the book. When done, all the made-up lines--and the real one--are read and players need to pick what they think is the real first line. Some are funny. Some are serious. But you get points if you guess the right one and when other players pick yours, and it can be a hoot! 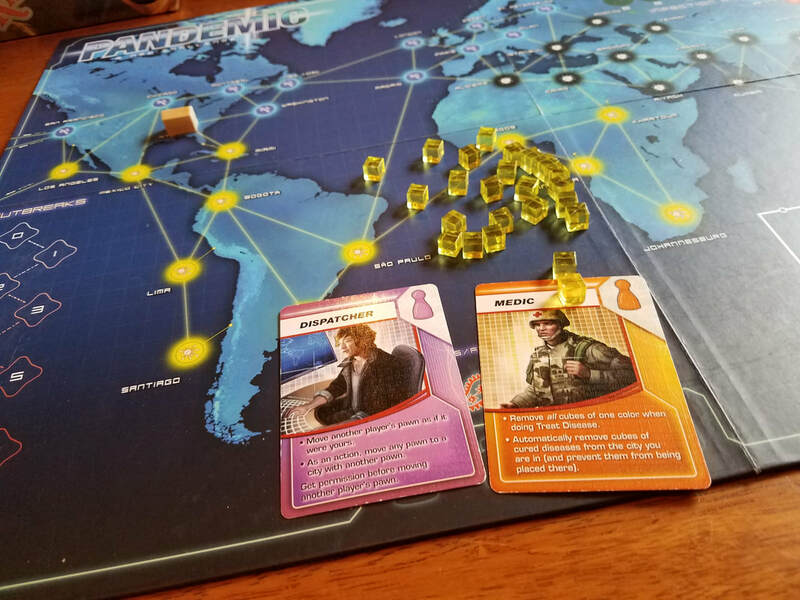 Parker enjoys cooperative games, so we usually pull out Pandemic at some point. Instead of competing against each other, players work together to stop the spread of disease and find cures. Lots of small pieces though, so we need to be aware of where the cats are at all times. Val loves nothing better that running across the board and scattering all the little disease cubes everywhere! 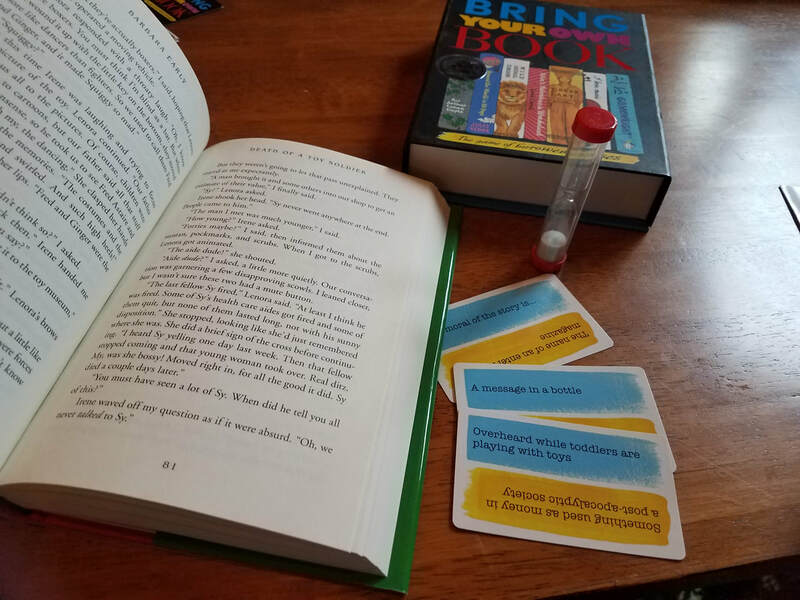 Dad likes games where people do a lot of talking, so he's fond of the ever-popular Apples to Apples and a fun but little more obscure game called Bring Your Own Book. 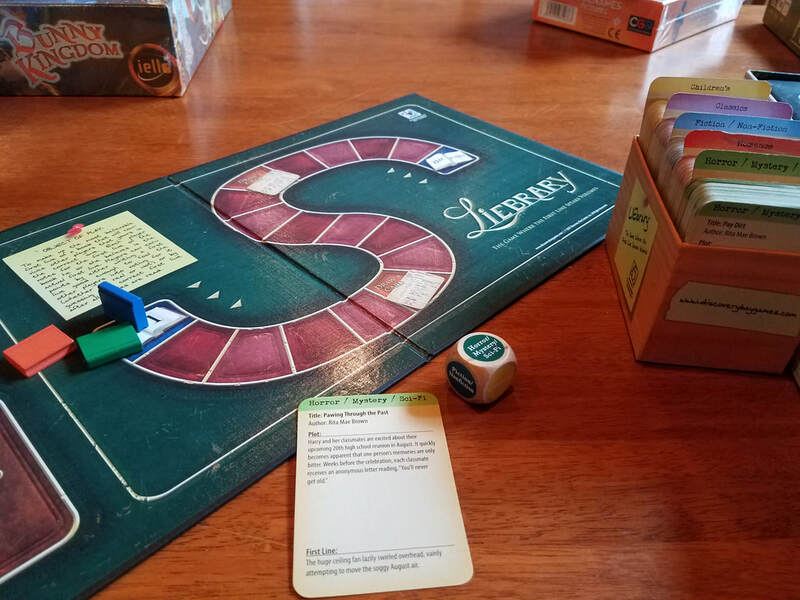 In this game, each player grabs a book and has to search its pages for one line that best fits the prompt on a drawn card. Things like, "name of a candy bar" or "lyrics from a country western song." Players pick their favorites, so most of us go for funny responses! What did you get for Christmas? And do you have a favorite game? 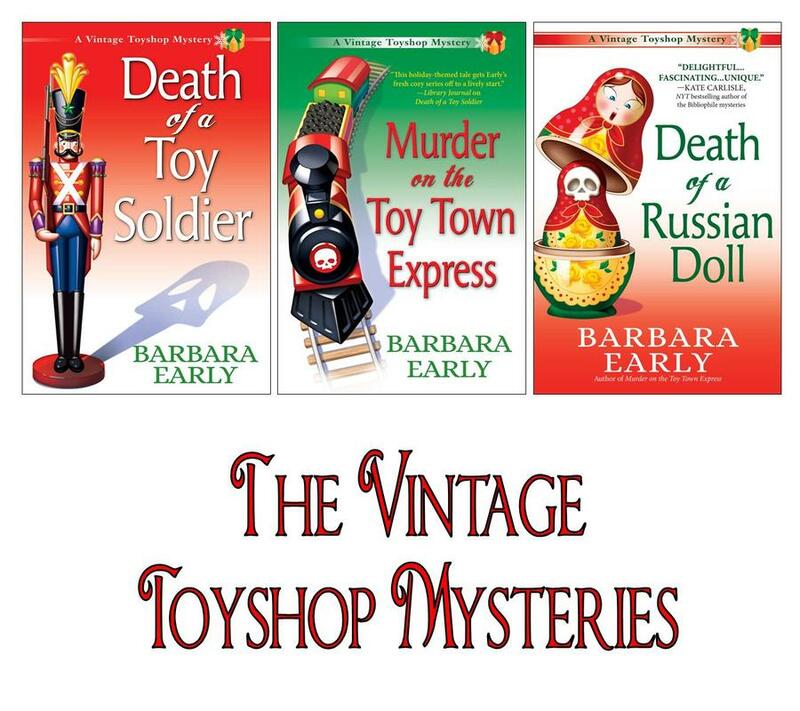 Happy New Year from Liz McCall and the Vintage Toyshop Mysteries! I think I need to get some games to play. I need to find Liebrary and Bring Your Own Book. I love games! I need to find Liebrary too!! That sounds fun!! So does Bring Your Own Book. Thank you for sharing these games. Just what I needed.